The changes that hit this morning clocked in at over 5GB on my PS4. A full list of patch notes only went live about an hour ago, after a day of players messing around with the updated game. Here in the office, I’ve only been able to play for about half an hour, but here’s what has stood out. Skill mods now seem more useful. These mods are little gizmos that players can attach to their drones, turrets, or other special gadgets. The problem has been that, since launch, the requirements to use mods were way too high for the perks offered. A mod’s ability would only be available if your character had a high enough Skill score, which was based on equipping backpacks, kneepads, and other gear. 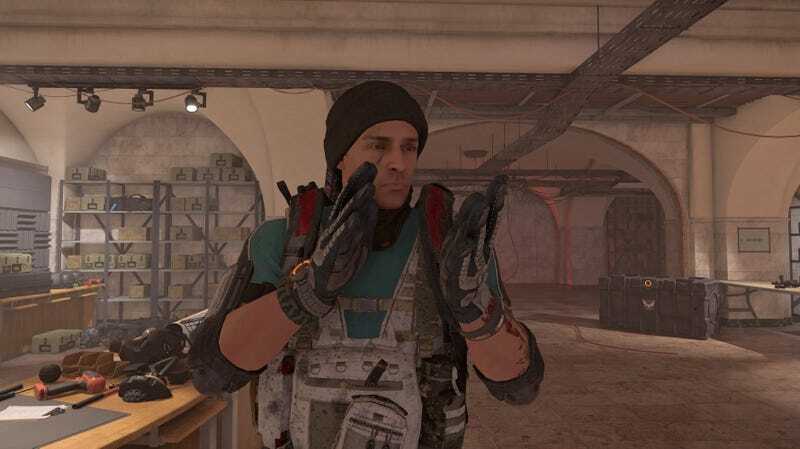 The mods never seemed worth it, and so The Division 2’s developers redid the math. At first glance, the mods I have now have lower Skill score requirements and seem more useful. Weapon mods are simpler. A lot of The Division 2 comes down to collecting and using better and better guns. Those guns can be tweaked with silencers, extended ammo clips, and other mods, all of which used to have pronounced pros and cons. You could add a mod that made your gun fire more accurately but would also make it less stable. You could cut down on your reload time if you were willing to sacrifice the number of bullets a gun’s clip could hold. The give and take frustrated some players, so they’ve been changed. Weapon mods now mostly just offer positives, albeit smaller ones. There are also some that have small negatives, but those are offset by bigger positives. Those numbers near your gear score are easier to read. The numbered red, blue, and yellow icons that represent the number of pieces of gear you’re wearing that include buffs to offensive, defensive, and skill power, respectively, are now all assembled in a row below your gear score. They used to appear on the circle around your gear score like moons around a planet. That made them hard to read, which was a problem given that those numbers represent whether any of the special abilities on your armor or weapons are active. The new view is easier to read. The revamped sniper turret seems worth using. I never used the old version of the game’s sniper turret. I guess a lot of other people didn’t as well, because they’ve changed it. Now it automatically points at whichever enemy you’re aiming at and tries to shoot them. If you’re not aiming at a target, it finds one nearby and waits for a button press for you to fire it. It’s like having a buddy in the game, for those of us not playing with buddies. Useful! There’s new clothing...and it’s still kinda ugly. Is it me or are the outfits in The Division 2 largely a bummer? Today’s update coincides with the launch of an “Apparel Event,” which entices players to keep playing to earn randomized boxes of clothing. The clothing items being offered are all based on what the game’s initial three enemy factions wear. Unfortunately, those factions wear ugly clothes. Thus, here’s what my character could look like if I keep playing and trying to get more apparel event chests. Not cool enough, I say.